Washington, DC’s arts institutions reopen to the public this week after a continuing resolution was passed on Friday (25 January), ending a 35-day partial government shutdown that left state-funded museums closed and federal workers furloughed or working without pay for more than a month. The National Endowment for the Arts reopens on Monday, which it had previously planned to do using remaining 2018 funding. The temporary budget agreement, which only covers three weeks of government operations, means it will not need to dip into that backup yet, but it is not clear if it could use that funding if a final budget deal is not reached, and another shutdown takes place. The reopening comes at a key time for the NEA’s grant distributions for the spring. The agency is the country’s main arts funding body, supporting hundreds of artists, scholars, museums programmes, arts education, libraries and public art projects across the US. 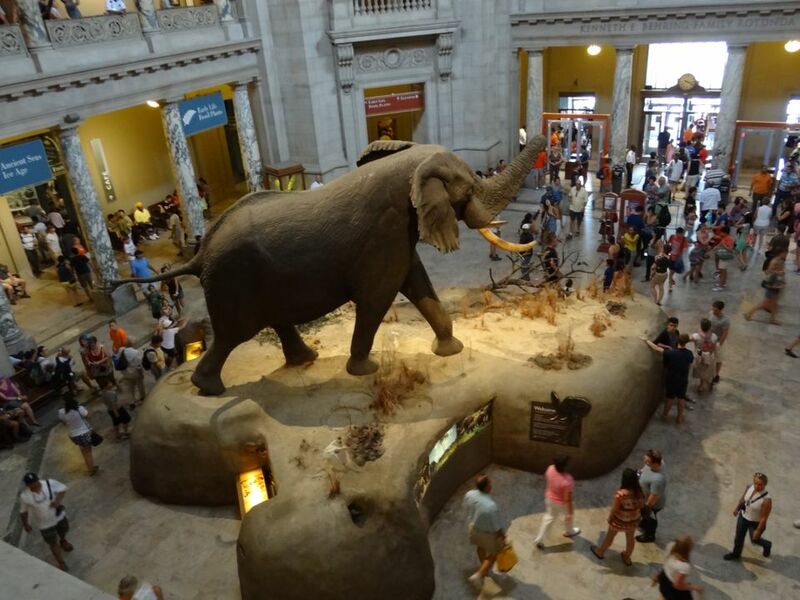 The Smithsonian Institution’s 19 museums (except for the Renwick Gallery, which remains closed until 2 February), nine research centres and the National Zoo, as well as the National Gallery of Art, reopen their doors on Tuesday, 29 January. The more than 4,000 furloughed Smithsonian employees that were not paid their salaries during the shutdown will now receive their missing paychecks, but some freelance contractors may not eligible for backpay. Last week, the outgoing Smithsonian secretary, David Skorton, said in an opinion piece in USA Today: “Every day of closure prevents approximately 45,000 visitors from viewing our treasures and engaging our experts.” He also highlighted the irrecoverable loss of revenue to the institution—“approximately $1m in revenue a week”—due to “the closure of restaurants, shops, Imax theatres and other commercial operations”. Last year, the AAM recommended a change to government policy that would allow federally funded museums, national parks, monuments and historic sites to remain open during future government shutdowns. US President Donald Trump’s administration reportedly considered keeping national parks open during the last budgetary crisis in January 2018, but nothing was done. The reason behind the shutdown was Trump’s unmet demand to secure $5bn from Congress to build a wall across the US-Mexico border. Eight prefab prototypes for the proposed wall have been installed in southern California since 2017, leading the conceptual artist Christoph Buchel to launch a petition to protect the objects as national monuments and historic examples of land art. In a manifesto, Buchel’s organisation MAGA states: “Instead of causing us to remember the past like the old monuments, the new monuments seem to cause us to forget the future.” Last month, a stress test on the prototypes revealed that all of them could be easily breached using hand tools like electric saws.